Sorry this took all week, it was on my Ideapad which has been sitting quietly waiting for me to play with it again. Next week when I go towards Tampa to see clients it will get used again. So what is/was Speedgeeking you ask? Expanded for 2009 with two tracks! One track for app dev and one for admin! It all started here at Lotusphere, and it's a condensed, immersion-style and rowdy approach to hearing from some of the best and brightest and a wildly popular approach to learning about the tips, techniques (and sometimes crazy) ideas that they have been working on. Participants will migrate as a group around the room from one 5-minute demo station to the next, while stop watches, buzzers and a loud-mouthed emcee keeps things fast-paced and on track! My session, repeated about 15 times in an hour and a half was about errors and troubleshooting strange jvm and domino or customer problems. Regular readers knwo I get all the fun ones and although I did not elaborate on the slides, if you were there you know what I mean. Remember, NEVER use nlnotes.exe on your server unless you absolutely, positively MUST because whatever you do with it overwrites anything else you do in your NAB. Sametime does not have a DNS but it DOES check every server reference in ANY directory it is supposed to see to validate the server and a IP address/DNS lookup match. The slide with the FUC IT has links to where to find ALL of the switches for those tools, make sure to grab it. There is no substitute for customers to keep one amused, really. Enjoy! Any questions post them or email me and I will elaborate further. If you want my speedgeeking presentation, you can get it here for .odp (Use Symphony like I did!) or here for .pdf. Keep in mind my original posting about how to work with Support. I, like many of you, received an email(well at least 4 of them) saying that I will no longer have to endure waiting on hold when calling support. They will now put remote technical software support for Lotus products (with the exception of Lotus Foundations and LotusLive) provided exclusively in call back mode and we get to wait for someone to reply to our request. Starting Monday February 16, 2009. Rarely do I ever wait on the phone when I call in with an issue and usually they let me know if it is in call back mode already and I am ok with it, unless it's a major server failure issue, category 1 and even then the wait is short. I must be one of the lucky ones I guess since I rarely sit on hold. You will still be able to open support requests electronically as well via the Web-based Electronic Support Request (ESR/SR) tool. By the way in at least one email the URL was incorrect for the ESR tool, it should be this http://www-01.ibm.com/software/support/probsub.html, the link above is corrected. our new Web-based tool that will be extended to handle ALL software related electronic service requests over the next two years. Hopefully all of the products we support are on there already. Our customers tell us that increased access to information and the ability to be self-sufficient in finding the solutions they need, when they need them provides the optimum capability to manage their IT infrastructure. So there are at least 13 ways I can track down a problem, more if I use all the IBM self assist routes(the support toolbar covers 90% of them), before I call into Support. So who has spent the time wisely or more efficiently? Now I must wait longer to get a reply? Hopefully not and this is just a formality to hand over a call to someone who will return my call within a few minutes. Just remember when you call or get your call back, the people on the other end are just like you and me and have their own internal issues and deadlines and quotas and please try to work with them not against them. It makes everyone's life easier. In speaking with a few people(shielding them) and reading some blogs lately(again protect the innocent) I see more interest in Lotus Foundations. Excellent news, especially for my portable server but what is the interest? Some see it as an SMB toehold against Microsoft. Others see it as a chance for Linux(in the Nitix form) to reach new areas of business. Still more see it as another way to layer services or software on a solution. I originally saw it as a DRP/BC (Disaster Recovery Plan/Business Continuity) appliance and still do given I am in a Hurricane zone. 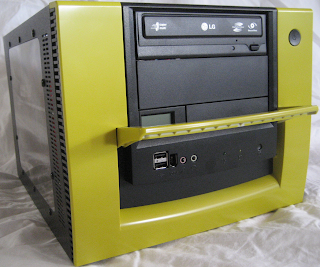 We also see it as a home server setup for professionals(non-IT). IBM probably thinks of it for some branch site, a la the way Nitix positioned itself previously. Except that was for Exchange because you NEVER want to go over a WAN to an Exchange server, so it was the right idea. However, Lotus Domino has always been excellent over the WAN and thus it does not find itself in the same MUST need class. While I certainly can see the possibility, the problem for me, and possibly for you, is putting Foundations in a Branch office will not help connect it to your existing Domino infrastructure today. Future changes in software may allow it, unknown. Thus you would need to have an entire infrastructure of Foundations Servers and I am not sure that will work for everyone. The world works in funny ways and my clients, yours or IBM's all see it differently. This is one reason why Business Partners exist, we go to market where IBM can't, and why we need IBM, to help seed the market and promote the opportunity and product lines. Maybe in South Florida or Brazil or New Zealand or Manchester some one does need Foundations and it works for them and that's what it's all about. It's not about selling IBM hardware, it's about software, services and connecting with new/young business, in my mind. I also see Foundations as a consumer play, IBM doesn't or maybe is still not ready to jump back on that band wagon so quickly. Why doesn't IBM offer it through Office Depot or Walmart for instance? Aren't the people you want to find just setting up their offices? Interesting enough this is one possible plan of distribution for the Mycubus line of designer computers. I understand in Africa there is a store which caters to entrepreneurs and startups and Foundations sells well there. 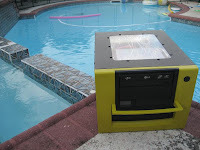 I think my solar server would sell better possibly, but I digress. It's an interesting idea. As I myself expand offices I am finding so little out there to help people looking to setup/kit out an office from furniture to electric to computers to telecom. So can Foundations take on the world, like Symphony has? Only if IBM backs it the same way and I wonder if it will happen. 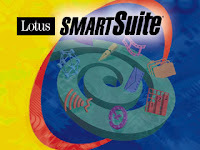 As I twittered today, I was engaged by a client to discuss this Lotus NotesSuiteprogram, in their words. Eventually I got to see the application and yes indeed, it is in Lotus Approach. A program which I have loved in the WAY distant past. On the bright side it is very customizable and still workable and the client is happy if I start bringing in reports and views from a different program, in this case Notes. While I would like to see them on Lotus Forms(they have many, many forms) the road to greatness will be a parallel course over the year. We discussed that no matter what the front end may look like, the data is still good to go and can be ported easily. The forms, views and reporting, not so easy. I imagine many similar businesses out there run on approach still, hopefully if you are one of them you will help me expand your program too as this client. One problem was they do not have the design locked down or passworded so ANYONE could mess it up at any time. Scary! Suggested they correct that in the mean time. This client came to me from Linkedin, and not even someone I know. So for those still on the outside of social networking and media, just remember your future clients are out there, but they can't find you if you don't make the effort to be known. "Beyond your wildest dreams" that's a line I heard from so many people, BPs, custmers, even IBMers. And that came from almost all the bloggers and even the Turtle, whom I finally met in person and thanks for his Gonzo Lotusphere page from oh, 99 or so. And his lovely wife, Nora. I must say, although I was occupied with my server and other plans which I can not blog about here, yet, it really was a great week. And it is a week for some who come in on Friday or Saturday. From the Friday dinner to BALD, Penumbra, Special Bloggers, Press passes, Exhibitors sharing ideas it was just a great show. And while I know many thought the economy would hurt the show, and I am sure some exhibitors may think it, the truth is there was a 2% increase in registrations and lunch was always overflowing, as were many sessions. Nice to have BDDay in the Swan and the logistics of getting everyone to/from lunch was great too. I received 3 passes for exams(I think we were supposed to get 2) this year and I actually made it to the lab to take one. The new Quickr for Domino cert exam. As usual, I failed, once again proving that theory rarely equals the reality of knowledge or how to accomplish the task in front of you. My 12 years or so on Lotus Quickplace and Lotus Quickr obviously does not equate to exam questions. Such is life. I knew there was a reason i don't have any certs even after 15+ years on Lotus Notes and Domino. For those that pass these exams, I hold nothing but respect for you all, especially some of my fellow bloggers who have all of these. For customers who ONLY ask for them, well, call us after so we can help you. Speaking of customers I saw many, spoke to some new ones, finished discussions with potential clients and even got to take some pictures of my server cube around Lotusphere. Pictures will get posted some day. It looks to be a great year, economy be damned, and I look forward to perhaps having a pedestal next year to sell my servers from given how many people wished I had brought more to the show. I can't do it all justice and will stop here. Next year I promise to not keep Bill up all night and to show up to Gurupalooza and the bloggers photo shoot. David Kajmo, Product manager for Lotus Quickr, was kind enough through the efforts of Erica Topolski to spend a 1/2 hour with me and discuss Lotus Quickr and some past/forward topics came to life. After reminiscing about when I was on the inside and he was working on the K-Station or Discovery Server or one of the other turn of the century add-on products we got down to some business. We discussed how amazing it must have felt inside when Quickr started getting traction. After all Quickplace had been in a maintenance mode for so long most people hadn't thought of it for years. I had beta'd it and supported many installations, but probably had gone about 6 years in between an installation or even a discussion on it. Amazing what a difference the last 2 years have been on it. It may have been the first steps in bringing Lotus back to where it used to be. We then discussed topics around 8.2 and one which connected well with me, and my so to be converted Domino.doc clients to Quickr is wait for 8.2(due in Q2) as it will run on 8.5, which is REALLY important if you want/must use DAOS. What a difference that is going to make for your attachments, server size, sites capacity and backups. We also discussed my recent topic of the J2EE vs Domino versions and where they are going. I will leave it as an open answer, the path of Quickr for Domino seems well defined. J2EE side is under discussion as more and more pieces of Quickr and Connections merge or at least integrate both among themselves and the Lotus Notes 8.5 client. Stay tuned on this one for more in the future. The 2 versions of Lotus Quickr will unlikely ever be equal on all levels and IBM recognizes this may have caused some confusion at points but they do intend to provide a clear path and with the options for upgrading from Doc to Quickr with Filenet and the ECM options it raises Quickr's document capability. Quickr will be receiving some additional document management functionality, possibly enough in 8.2 for me and others to begin our Doc migrations. I have lined up, any one else need help, inquire within. Thanks Dave, see you next year. NOTE: Edited per Ed Brill's comments. Actually this one is true prior to April 2008, for quite some time we have, um, hung on, with a few GM's(General Manager's) IBM threw at us. It's been a while since we had one that really even got mentioned by anyone for doing, well, anything, not just for the Lotus brand but the greater Lotus world or seeming to care about it all, in a way beyond IBM's coffers. For that matter, who ever talked to some of them aside from when they were on their ceremonial Lotusphere tour, if you even knew what they looked like. This does not diminish the work the previous 3 gentleman have done, some of which led us to where the Lotus brand is today so thanks does go to them for their subtle but helpful steps. But combined, I don't think they would equal what anyone who was at LOLA (I wasn't) or Lotusphere(I was) or the press/analyst dinner(I was) or anywhere Bob Picciano may have gone or visited, felt after talking with him or seeing him in Kimonos not just one time or one night but TWICE!! And this attitude now permeates across the company it seems, every session I attended, including the Beat the Developers one was interposed with rants, kicks or slingings at competitors products or lack of them. What more could I or you ask for? When was the last time in your organization you not only saw your boss, the GM(or in your own companies case, your CEO), and most, if not all, of the executive team in a bar together and then his doing Karaoke? "I'm a Lotus Man" will ring throughout the year to those of us privileged to be there at the time, and someone, I am sure, is holding the video for ransom. Everyone not only wanted to sing it with him, I'd imagine most wanted to be on stage with him to do it too. Shame it didn't make it to the closing session, although he did reference it. And that, my dear readers is leadership which is rare to find these days, especially from an organization the size of IBM. On top of it all, Bob really wants to help you and I and all of the Lotus Software Group change the world view of the Lotus brand and if it happens to hurt Microsoft or other competitors along the way, he wouldn't want it any other way. In fact if it doesn't happen, maybe we can get Bob to stay for another few years because Rome wasn't built in a day, although it only takes 1 day to start migrating users off Exchange. So if you keep hearing the Lotus brand is dead or they don't get it, call IBM, ask for Lotus, then ask for Bob, he probably would answer the phone if available. It's that important, to him, and the greater company. And even if he wouldn't, I imagine the gatekeepers will form a moat, he will certainly want to know about it. A piece from my speedgeeking which I forgot to post. Can't really say but suffice it to say in the 3 days I have been here the world has indeed shaken, changed and gone freezing. This morning was 32, 24 with the wind chill, Universal will be VERY cold tonight. Yesterday 2 highlights for me. One the session of the women of Lotus, more on that later. Second the Speedgeeking. My first time doing it and if you listened to me, thank you and if you didn't, well the slides will be posted next week. Did the same presentation about 12-15 times and under the 5 minutes so I hit what I set out to accomplish. Topics included LDAP, BES, nlnotes.exe and other tidbits of useful information. So many meetings though is inhibiting my time on the show floor and in sessions. On the bright side, our portable server is getting great interest in and outside of IBM and if you have any interest in OEM or rebranding it for your needs, please contact me ASAP. Thanks to Paul Mooney for adding my video to his Adminblast Video, the Admin is your master! Microsoft spoilers abound, but this one is perpetual. Every year Lotus reminds us that next year we will be back in Orlando and gives us the dates. Every year Microsoft touts that IBM is dropping Lotusphere, just like Devcon, Lotusphere Europe and similar events. IBM renewed it's agreement with the Swan/Dolphin for another few years, I think we are good to 2012, but if anyone knows better let me know. It is obvious that I need more hours in my day and Lotusphere needs more days in it's week. Or Lotusphere maybe needs to get broken down further and bring back Devcon so all the AppDev has a proper place and time. Then the Sphere could be about the infrastructure, products and of course, Admin. But then I am a little biased. But seriously, the show is so large and so difficult to match your time, coupled with client meetings, IBM partner meetings, special on site meetings, company business and of course support still of our clients, it does take it's toll. So as we all hunker down and fly(no more water landings please, kudos to Capt. Sullenberg! ), drive (congratulations to Goodyear you just sold me 2 new tires this morning for my bald and flat rear ones) or Bus(Lotus911 doing it again?) remind everyone you meet, see or bump into anywhere in the world Lotus is alive, well and kicking and this year will see some heavy hitting from IBM. Do you know the Klingon proverb that tells us revenge is a dish that is best served cold? It's 32F in Seattle right now. Due to my lateness, I was unable to sneak into the Foundations lab. So does anyone have ped space or not using theirs and wants extra traffic? See the previous post for more details on the demo unit and Lotusphere Special offer of an Ideapad. I do not need a ticket, i have mine thanks. In one client which I have data from so far the reduction in disk space from doing the following was 13% on average per user with a high of 37%. Note some users already used some of these settings, imagine if your network never used ANY of them! Plus a few more could be done but we don't want to use them right now. Want to do it in one quick process? 1) See my previous post on DAOS enablement and the DCT tuner. DCT can provide some more pros/cons to some other benefits in this area. 5) Select Advanced properties from the Database tools on your Right column. And don't forget to run compact -c and CREATE_R85_DATABASES=1 in your notes.ini so all future files get it too! Quick pieces of advice for those not yet with 8.5. Remember Traveler is still a separate download. DAOS is enabled in your NAB, each server has a new tab, Enable it, then set the date for expiration to whatever you need. You will also need to enable Transaction Logging, under its tab, and set its parameters as you desire. AND disable shared mail if you are using it under its tab. Very cool but you MUST update your admin client. The Admin client is now only available as a downlaod with the other 2 clients even though it's not an Eclipse product..yet. Find it under Server - Analysis tab (not sure where the docs tell you this as even the help file doesn't!? ).Once it sets you up, then you must restart your admin client. Open it up again and set up your servers and then scan and read the results. Go get depressed or exhilarated at how many issues it finds in your notes.ini ALONE. Lastly but far from least, one could post this stuff forever, go to ODS 51 using compact -c or with any specific files in mind. Likewise use the parameter CREATE_R85_DATABASES=1 in your Notes.ini, but your DCT will let you know if you haven't. The Notes start-up sequence has been reordered as part of performance enhancement in this release. Notes users are now prompted to authenticate (log in using their Notes password) before the Notes workbench appears on-screen. The new NOTES.INI setting for this sequence is "ENABLE_EARLY_AUTHENTICATION" which has a default setting value of 1 enabling the new mode. Disabling the setting reverts to the old (pre-8.5) start-up mode. If the ENABLE_EARLY_AUTHENTICATION setting is disabled (0), the Roaming user functionality introduced in release 8.5 is not functional and performance enhancements gained in the reordered start-up sequence are not realized. Enjoy and post your own tidbits of joy. I rarely write reviews of products, in fact this might be the only one. But as some know I received my Lenovo Ideapad (netbook)S10e on Friday. E stands for education. Unfortunately for me some server issues cropped up and I was not able to really enjoy the unit until late in the day and the weekend. It's small, light, moderately fast at processing, good battery life, webcam, built in mic and speakers(loud), wi-fi works well too, has an option to open up a browser or some apps without starting the full machine. Haven't got that to work yet, wireless issues it seems. Stuck an extra 1GB ram in it, max is 1.5 anyway on this XP home version. 80GB drive, which is only 72gb accessible and about 50Gb free before i do too much to it. I don't like the mouse pad buttons. They make a loud annoying click, prefer the thinkpad soft touch. Screen is a tad small, but then what did I really want to do with this device anyway, its about convenience and weight for me. This will make my life so much easier in Orlando. Live blogging or just taking notes it will be much smoother and also on my back. Leaving the 17" monster at home. Pricing for it is about $375(you can find it on lenovo site for $349 at times or via discounters. Mine is black, not pink or the other colors but for the price(dealer rate plus an end of 2008 $100 off and some other discounts put it in a range that we could not turn down. Plus clients will want this once they see it. So if you haven't seen it or used it, catch me in Orlando. In a recent encounter on Twitter I was discussing with an individual who harbored the false perception that no one uses iNotes or Domino Web Access or Webmail or whatever you want to call the browser based access to one's Domino mail. Should have asked him if he meant no one uses OWA, the Outlook Web Access. Many college campuses use Webmail, as do numerous hospitals, logistics companies, manufacturing plants and regular everyday users. Why? Because they can do so with little effort on the administrator's side, especially in R8 where there is only one template now for web and non-web usage. Compared to Microsoft where one usually has separate servers specially setup to run OWA, Lotus Domino servers can handle the dual connections of web and Notes client access. Admittedly some earlier servers, say over 5 years ago, limited the #'s on a machine, today I have a client with over 2,000 people(we expect scaling to 2,500-3,000) on one mail server and it houses multiple clients, templates and access form the web, phones and notes clients. Oh and it runs on Linux and did this as an R7 and now even better as an R8 server. If you have a Microsoft Exchange server which can do all of this and does...let's hear about it.